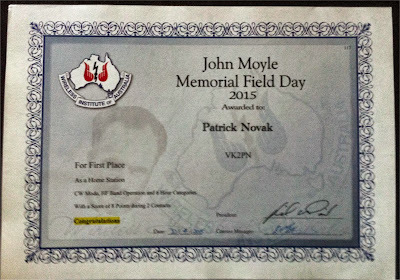 Yes... despite of the poor quality photo it says: First Place CW section etc etc. Yes... you can read it correctly "2 contacts"... pitiful performance. ... accidental hero?? You must have read the sorry story in my previous blog. The power of CW is awesome. So... how did we go as VI2ANZAC? All logs are in and were uploaded to the WIA. 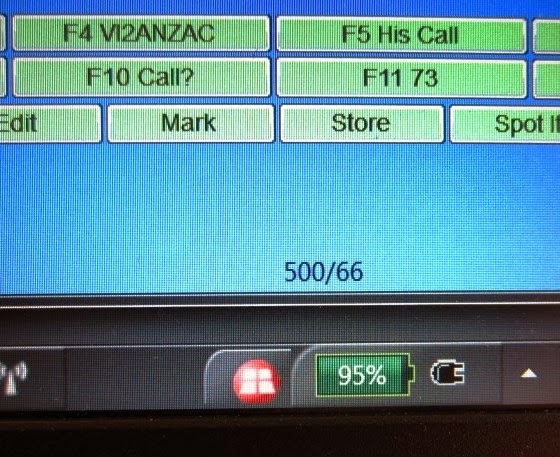 That tells us that at least 8000 amateurs had read the story of ANZAC. That is good because all the contacts were DX. That spreads the message well beyond our borders. Thank you everybody for the calls. Thanks operators for the hard work. We all had fun and above all it was good training for the next "big one". 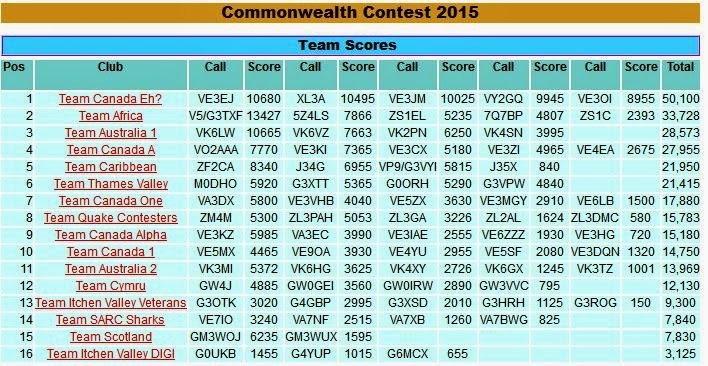 Commonwealth contest results 2015 are out. As I thought.... the Canadians GOT IT... Good luck chaps... Well done. Today shortly after noon, I've clocked 500 QSOs. 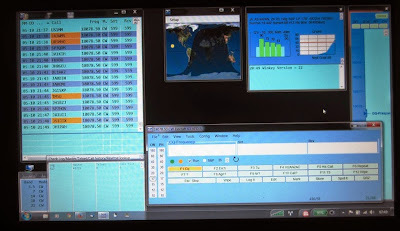 It's 15:30 local time... the count is 601 QSOs.. time for a glass of red and some rest. Thanks all... it's been fun. 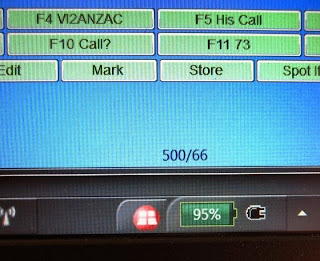 Working the VI2ANZAC call sign. 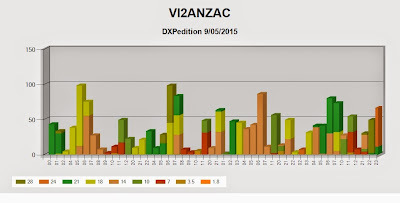 Having lots of fun doing the VI2ANZAC. It feels good to be on the end of a pileup. Started about midday on Saturday. 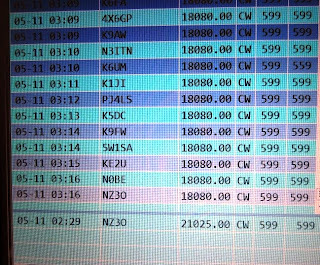 Today is Monday am and the log shows over 400 QSO's. 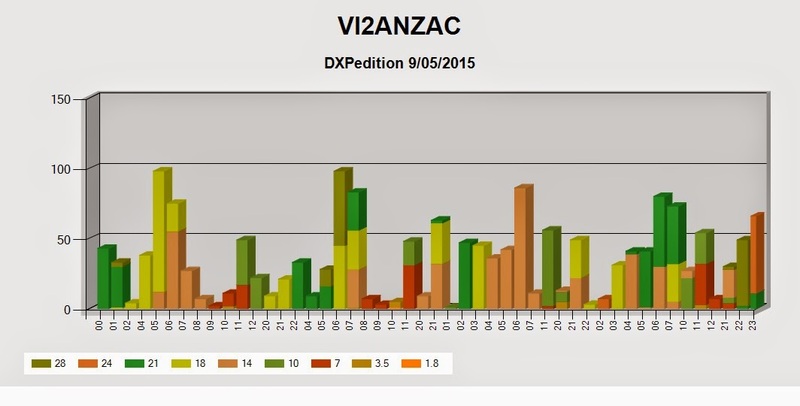 Considering that Allan VK2GR may be doing similar numbers, we are going OK. Haven't heard from the other partners: Nick VK2DX and Matt VK2RQ. Had to use split only few times... mostly the callers are well behaved. So chaps if you read this: Thank you, we are all having fun. It is all CW and some times the rates were close to 100/min. Steve VK3JA (ex VK3TDX) birthday. 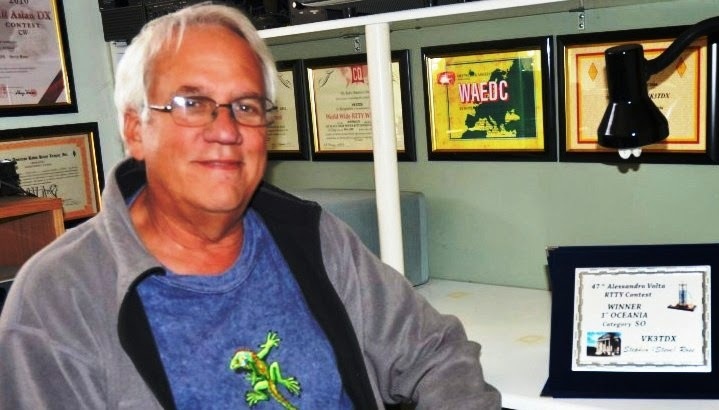 My friend Steve VK3JA (ex VK3TDX) is having birthday on Thursday 7th May. 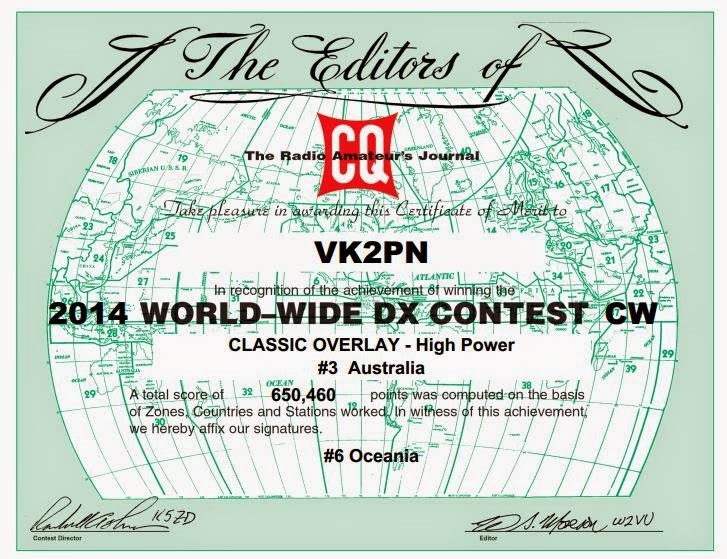 CQ WW DX CW 2014 results were out last week. This weekend was A.R.I. 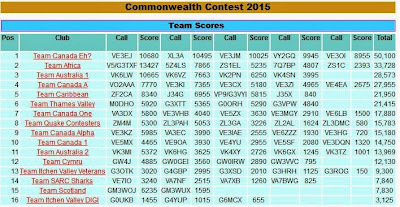 Italian DX contest. I had few hours to play with... so I played.. I've spent at the radio exactly two hours and 57 minutes. 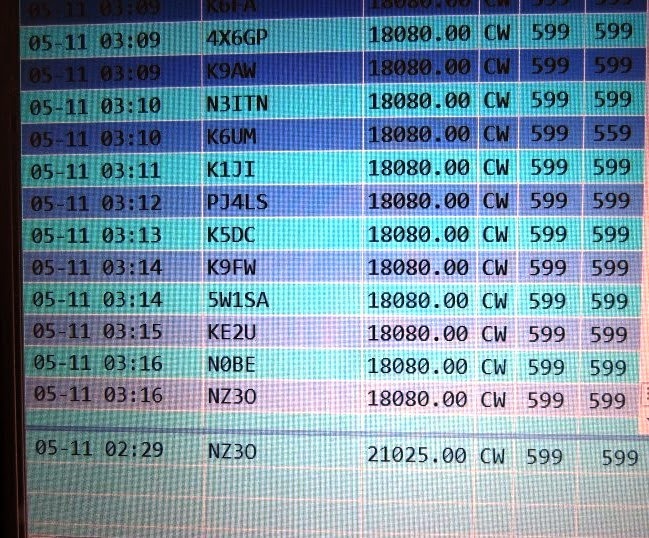 The condx were OK, but there was nothing on 10 m and very little on 40 (during the times I was on). Surprising the high number of US stations participating. It was time well spent and a good practice. I should mention I've installed the new KSYN3A Synthesizer Upgrade Kit for K3, KRX3 and was very pleasantly surprised with the improvement of my Elecraft K3 radio. It was expensive, but the radio subjectively on receive is significantly improved. The audio has less hash/noise and the tone of CW feels cleaner and easier to listen to. I had no means to check the improvement on transmit.